It is not uncommon that small and medium businesses use Google Sheets to store and maintain customer information, until they come to realize the need for a CRM system to keep up with their growth. The first step in setting up a CRM system is to import their existing contacts from such Sheets into their CRM system. Doing this on a desktop is not rocket science; this was the way it has been happening for years. 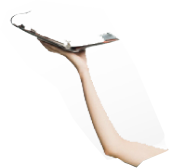 But now that everyone’s workstations have become increasingly mobile, and that most of your work happens on the move, why should the task of importing contacts be left out? 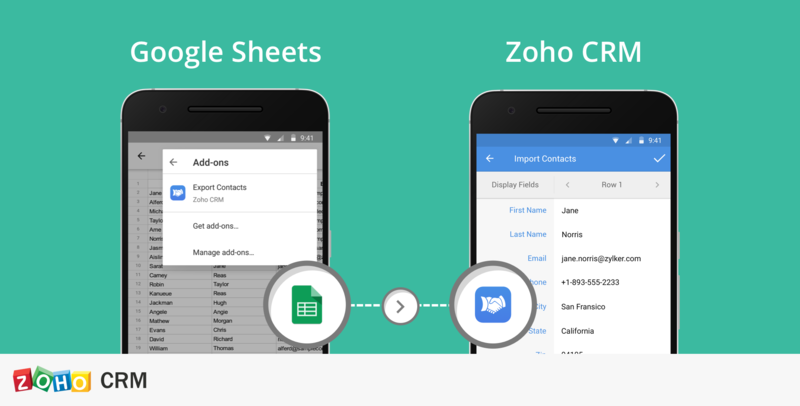 We are happy to work with Google to introduce the Zoho CRM mobile add-on for Google Sheets that helps salespeople import their contacts from Google Sheets into Zoho CRM. 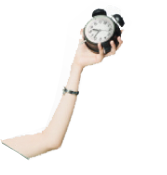 This add-on can be accessed from the add-ons section in Google Sheets. While the current integration lets you import Google Sheets content only as contacts, we are working to expand this integration to work across all modules in Zoho CRM (i.e. you will be able to import your Google Sheets data into any module, including custom modules soon). 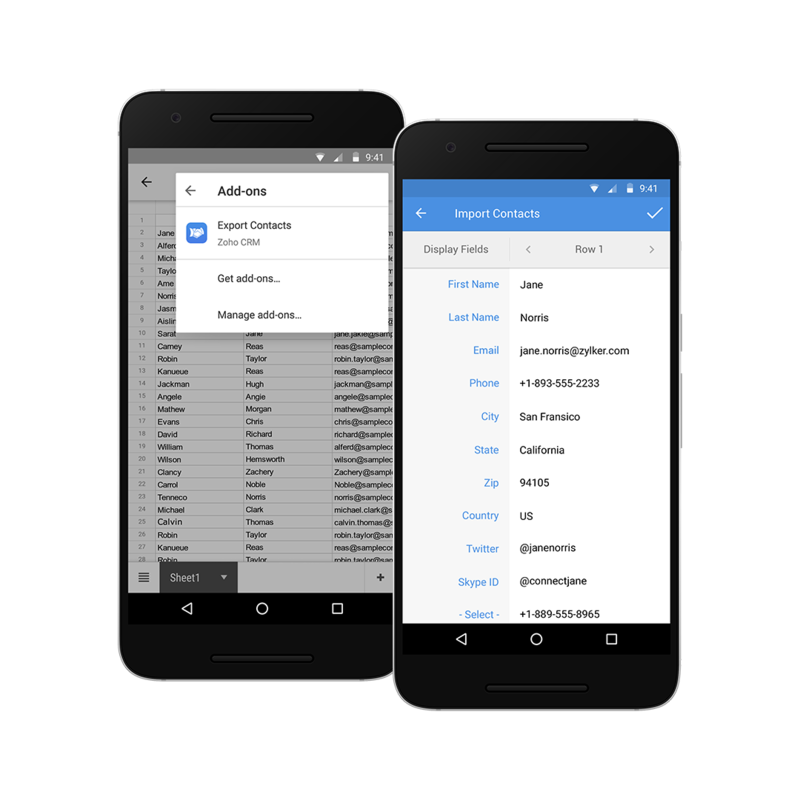 No Replies on Introducing Zoho CRM Mobile Add-On for Google Sheets. Commenting is Disabled on Introducing Zoho CRM Mobile Add-On for Google Sheets.